"View our Gold Coast Holiday Accommodation Rates for our Spacious Apartments"
Q: Do you have Wi Fi in the apartments? A: Yes, we have Free Wi Fi access from each apartment as well as on the ground floor – just ask at reception for the password. Q: What’s the difference between a Self-Catering Resort (like Narrowneck Court) and a Hotel (like the Marriott)? Hotel Rooms: Hotels are usually smaller as you have most meals in the Hotel itself or elsewhere – basically a place to sleep. 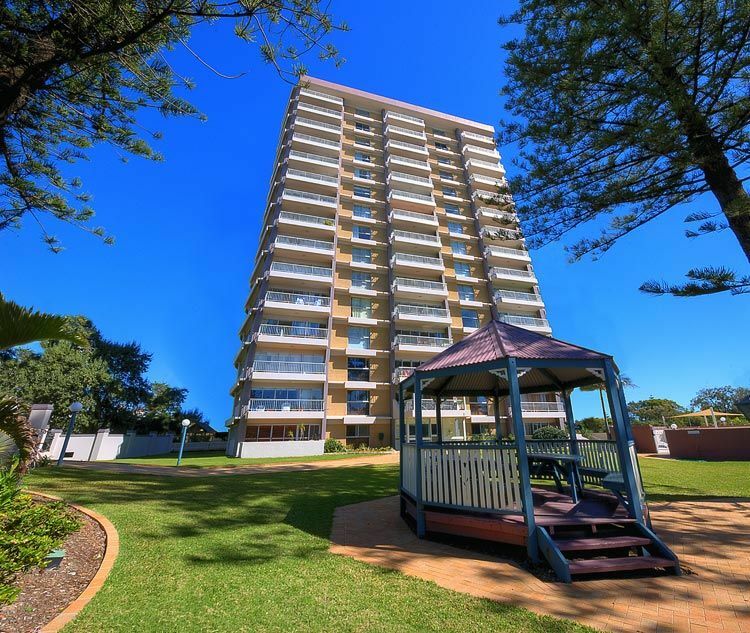 A resort like Narrowneck Court, have large spacious rooms with a fully equipped kitchen, laundry, lounge room etc – kind of your home away from home. Linen Changes: Hotels provide daily linen changes and self-catering apartments have a linen change if your stay is longer than 7 nights. Room Service: Whilst we don’t provide Room Service. There are menus in your apartment for you to order food to be delivered from local restaurants. Price: Hotels are usually more expensive than self-catering apartments and suit short stays. Our average stay is 6 nights. Q: Is Narrowneck Court close to the beach? A: Are you kidding? Any closer and we’d be in the water! To be honest it’s about 20 metres to cross the road and get your toes in the sand. Q: How far is Cavil Avenue Mall from Narrowneck Court? A: It’s a 1.1km walk south along the esplanade. It takes about 15 minutes to walk there before you’ve had dinner and up to 20 minutes to walk home, depending on how big your meal was! Q: Can I buy tickets to Theme Parks and other activities from reception? A: Yes you can. In fact we sell all Theme Park Tickets at 5% of door prices and can help plan any day tour to Byron Bay, Springbrook, O’Reilleys, etc. All with no booking fee or credit card transaction fees. Q: Should I bring a beach towel? A: We do provide all linen and bath towels, but not beach towels – might be a good idea to bring one or buy one in town. Q: Are all the apartments air-conditioned? A: Most aren’t, as we always have an ocean breeze. All apartments have ceiling fans, but there are a couple of Air-Conditioned apartments. You can request one if you think you’ll need it, but most people don’t end up turning it on. Personally I’ve lived here with my wife and kids since 1999 and don’t have A/C - I prefer the fresh ocean air. Q: Can I moor a boat at Narrowneck Court? A: Yes. 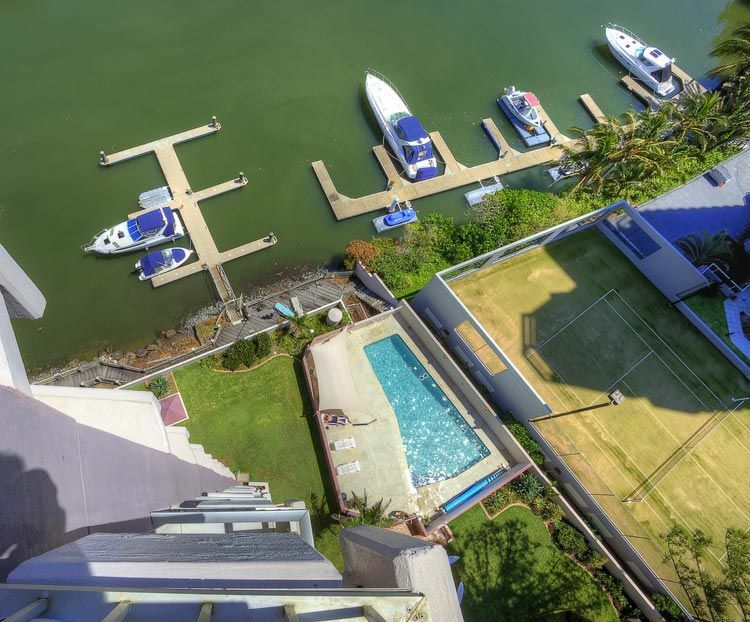 The Nerang River is at the back of the building and powered marina berths are available for just $10 extra per night. Q: How many people can fit in a two bedroom apartment? A: All rates are quoted for up to 4 people, but the apartments can handle up to 6. The extra person charge is $20 per person per night. A: The pool is heated to 28 Degrees Celsius from the beginning of April til the end of September. In the summer months, the heater is not required. Q: Do you accept Schoolies? A: No. Schoolies is a special event in the last two weeks in November that requires a high level of security. We don’t cater for this event. Q: Can you organise for groceries to be delivered to my apartment? Q: Do you accept Buck’s Parties? A: No. This is a real family environment here at Narrowneck Court – definitely not a party place. There’s plenty of that in the heart of Surfers Paradise. Q: I have to go to a Conference at the Marriott. Is that far from Narrowneck Court? A: No not far at all – about 100m. We have a lot of guests staying here and attending conferences at the Marriott. 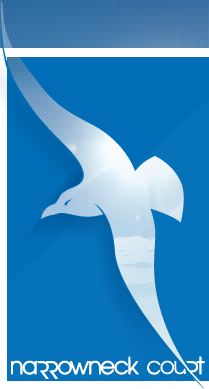 We are a lot closer to the beach and have much larger apartments. Q: Can you organise Airport Transfers for me? Q: Can you organise car rental for me? A: I find the best way to check out car rentals is via www.vroomvroomvroom.com.au. You can get your car from the airport or from Surfers Paradise. If you wait til you are here to organise the car rental, keep in mind that Budget and Hertz are very close. A: Yes. We offer a free comprehensive package of 55 channels – Movies, Sport, Music, Kids, News etc. Q: Are the BBQ facilities free? A: Yes. The 3 BBQ’s are free and are really good quality gas BBQ’s – perfect for that Aussie meal. Q: Is Narrowneck Court on the GC 600 track? A: Sure is!! We have one of the best positions on the whole circuit. Looking straight over pit lane and both the northbound and southbound tracks. Get in early for the Gold Coast 600 V8 Super Car event. Q: Do I get a linen change every day? A: No. However, you can pay for extra linen changes for an additional $75 per change. Any stay longer than 7 nights gets a free weekly linen change. Q: Do I have to clean the apartment before I leave? A: No. You just have to remove your rubbish and put the dishes away – we’ll do the rest. Q: Does Narrowneck Court provide free secure covered parking? A: Yes, you can park your car in the allocated car space under the building. Soaps, Toilet Paper, Dishwashing Liquid, Washing Machine Powder, Bathmats, Tea Towel, Hand Towels & Face Washers? Yes, Yes, Yes, Yes, Yes.